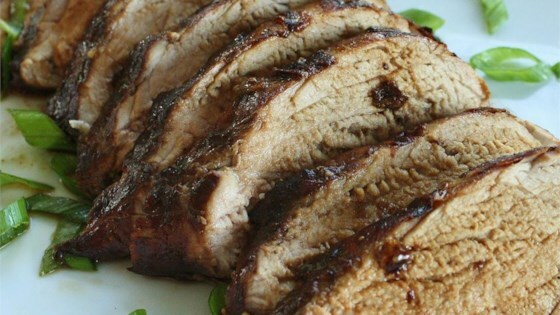 "A delicious and easy to prepare marinade consisting of ingredients that can be easily found at a Chinese grocery store. Don't let the ingredients fool you, this is a meal that even the less adventurous will enjoy." Very tender but not a terribly impressive taste. Absolutely Awesome! We love this. I will usually sear it on the grill for that crispy exterior and smokey flavor and then finish it up in the oven. This recipe is very easy and tasty. the flavours were great. I served with fried rice and chopped up leftover pork into the rice the next day. Excellent - served this with stir fried veg, garlic roast potato and egg fried rice.